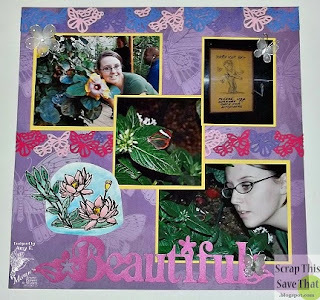 Scrap This, Save That: Mark's Finest Paper Scrapbook Challenge...Anything Goes! 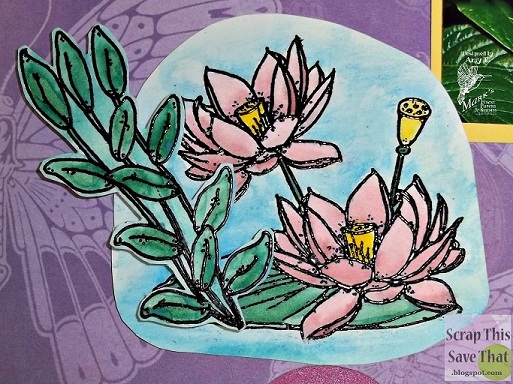 Mark's Finest Paper Scrapbook Challenge...Anything Goes! Happy Thursday! 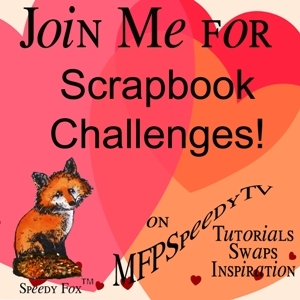 It's time for another Scrapbook Challenge over at Mark's Finest Paper! This week is one of my favorites...ANYTHING GOES!! I love it when we have the anything goes challenges, because it gives me a chance to catch up on my random pages! Remember this challenge is strictly scrapbook layouts, no cards please. You have to use stamps on your pages. 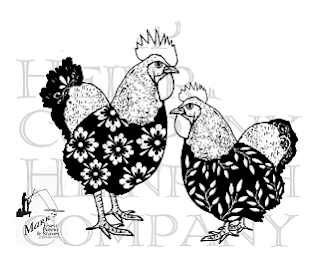 They don't have to be Marks Finest Papers, a Heinrich Co stamps but if you do use them you will be entered twice for a chance to win. And here's the super-cute stamp you could possibly win this week! So...a little background on my layout...A few years ago my daughter and I took a trip to New England and while we were there we visited this awesome butterfly conservatory in Massachusetts. We were in a large enclosed greenhouse-type room with THOUSANDS of butterflies! There were all different kinds, and tons of varieties I didn't even know existed! The photo in the center of my page shows a close up of one that had see-thru wings! The outside of it's wings were bright orange with a brilliant white stripe, but the inside were invisible! I started my layout with a gorgeous piece of purple cardstock with butterflies on it that my sweet friend AJ gave me a long time ago. I thought it was the perfect base for a page about a butterfly farm! I used two punched borders that my friend Rexann gave me a while back. Apparently I had been collecting butterfly stuff for just the right page! Ha ha! The "Beautiful" title is from the Cricut Tinkerbell cartridge. The stamps I used are from the brand new sets that Mark's Finest Paper just released this week. They are from the Be Virtuous Set and the Lotus Blossoms Set. I stamped each on waterolor paper with Versamark ink and heat embossed with black embossing powder. Then I used a water brush and several different colors of Tim Holtz Distress Ink to color them in. I used watercolor pencils to finish off the backgrounds of both images. I hope you'll come link up with us this week! You have until next Wednesday at 8 pm EST to join us. See you there!